A documentary video, “The Coming is Near,” released on March 28 by the Iranian government promotes the idea that the Mahdi, an apocalyptic Muslim messiah, is about to return to usher a new Islamic civilization. The documentary is based in Twelver Muslim theology to which many of Iran’s highest leaders subscribe. Twelver Muslims are a branch of Shia (Shiite) Islam. Shiites and Sunnis, two factions prominent in the Iraq War, split after the death of Muhammad in A.D. 632 in a disagreement over who his successor should be. Sunnis, the dominant branch of Islam, believe that leadership should be by elected leaders, while Shiites believe that Muslim leaders should come from Muhammad’s family line. The Shia believe that there were twelve such leaders, called imams, although many Shia religious leaders use the title today. The twelfth imam, Imam al-Mahdi, lived in Samarra, Iraq and was last seen in A.D. 874. Twelvers believe that the Mahdi is in “occultation,” in the spirit world, where he is still alive. They believe that he will one day return during a time of world chaos to usher in a worldwide Islamic caliphate (kingdom). According to the Iranian documentary (you can see a translated version here), the second coming of the Mahdi will occur in the near future. Although the Mahdi is not mentioned in the Koran, his return is discussed the hadiths, collections of narrative sayings by Islamic leaders. Some of the signs of the Mahdi’s return discussed in the film include fear, earthquakes, and sedition throughout the world. Cultural decay, such as adultery, homosexuality, and women not wearing the hejab (head scarf and/or veil) are also cited. The film also mentions Yemen, one of many Arab nations where protesters are demanding the resignation of the ruling authoritarian government. The film focuses on the Shiite guerillas allied with al-Qaeda. Yemen was the origin of several bombs sent to the U.S. and U.K. in October 2010. According to the hadiths about the Mahdi, Yemen will be the embroiled in a revolution prior to the Mahdi’s second coming. When the Mahdi returns, one of his first battles will be against an army of one of the Yemeni tribes. Yemeni soldiers will be among the first to enter Mecca after the Mahdi’s return. The hadiths also refer to turmoil in Egypt. The filmmakers say that that the people of Egypt were prophesied to rise up and kill their leader, plunging the country into turmoil. The people of Egypt recently ousted their dictator, Hosni Mubarak, but they did not kill him. Thus far, the Egyptian revolution has been relatively peaceful. Saudi Arabia, the location of Mecca, also is found the film’s interpretation of Islamic prophecy. The hadiths mention a royal line that some Muslim theologians believe is the house of Saud. The death of a Saudi king named Abdullah is one of the key signs of the Mahdi’s return. The current king of Saudi Arabia is named Abdullah and is suffering from an unspecified and possibly life-threatening illness. It is perhaps unsurprising to anyone familiar with the Middle East that the Twelvers believe that Palestine (Israel) is also central to their end-time prophecies. Imam Ali, the first imam after the Sunni-Shia split, said that Jews would come from the west and take control of Palestine while Arabs were divided. According the film, Jewish control would last “until the time that the Arabs rid themselves of the influence of others, take back control of their affairs, and once again have strong determination. At that time, they shall conquer the land of Palestine and the Arabs will be victorious and united.” The destruction of Israel is the most important event marking the Mahdi’s return. Also unsurprising is the Iranian view of Iran’s role in the Mahdi’s return. The filmmakers believe that the 1979 revolution was a precursor to the Mahdi’s return and that Iran’s purpose is to prepare the way for the Mahdi. Muhammad is believed to have said, “In the end of time, descendents of Imam Ali will join ranks, their hearts close to one another through the cause of Ruhollah.” The film depicts this is a reference to the Ayatollah Ruhollah Khomeini, who they believe fulfills the prophecy of the man from Qom (a city in Iran where Khomeini studied). The film also discusses the primary characters in the Mahdi prophecies. The Sofiani is only briefly mentioned in the film, but other sources indicate that this is a bloodthirsty leader with links to Syria. The Sofiani will send an army to oppose the Mahdi. He will also kill women and children. Ironically, suicide bombers, terrorists, and Arab dictators all make war on women and children. Seyed Khorasani is another prominent figure. The film says that he is a high official who controls a great army and will pass the flag of Islam to the Mahdi. He will reportedly be from the town of Bani Hashem and the province of Khorasan (although Bani Hashem is in Hormozgan rather than Khorasan). He will also have a sign or disorder in his right hand and is associated with black flags. 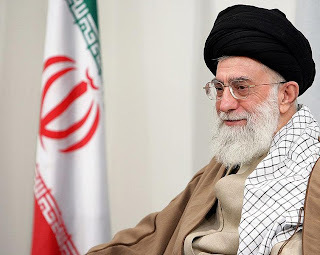 The film claims that Ayatollah Ali Khamenei may be Seyed Khorasani. 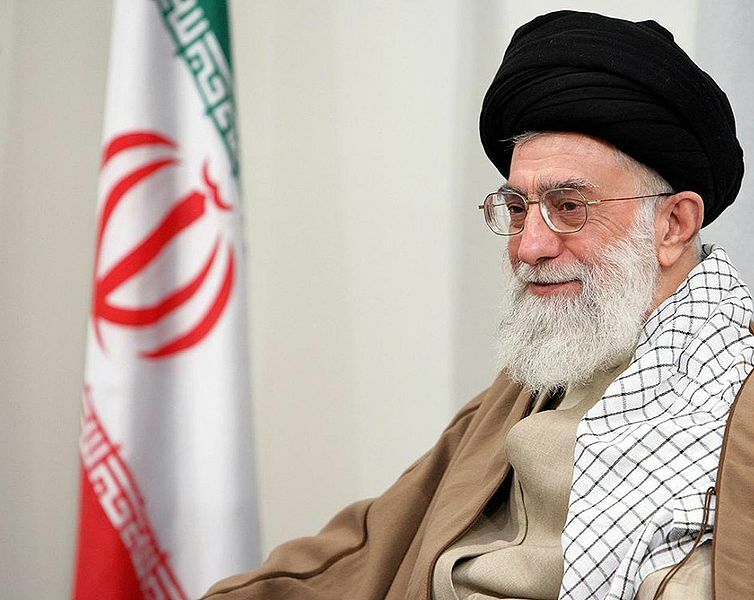 Khamenei is from Mashad, which is in Khorasan, and his right arm has been paralyzed since an assassination attempt in 1981. The Yamani is also named in the film. Yamani is a soldier of the Mahdi with strong ties to Yemen. The film points to Hassan Nasrallah, the leader of the terrorist group Hezbollah, as the Yamani. The film claims that he was born in Yemen and immigrated to Lebanon, but western sources indicate that he was actually born in Beirut. Finally, Shoeib-Ebne Saleh is the commander-in-chief appointed 72 months prior to the Mahdi’s second coming. Saleh is appointed by Seyed Khorasani with the goal of capturing Jerusalem. Not surprisingly, the identity of Shoeib-Ebne Saleh is purported to be none other than Iran’s president, Mahmoud Ahmadinejad. 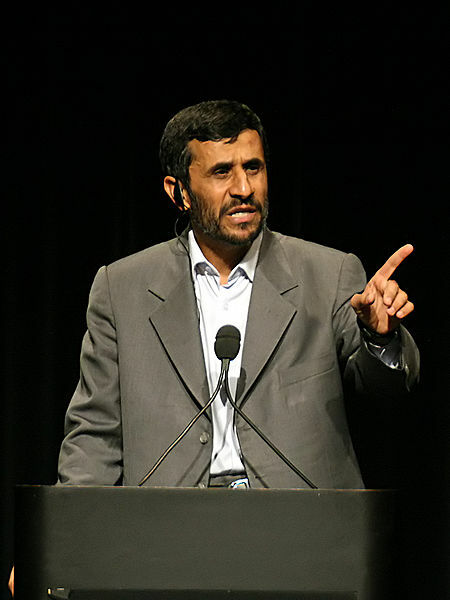 Ahmadinejad was took office on August 6, 2005. In the estimation of the filmmakers, end time events will be occurring 72 months, six years, after Ahmadinejad’s inauguration. That will be this August. Accordingly, Ayatollah Khamenei is quoted in the film as saying, “I can tell you with utmost confidence: The promise of Allah for The Coming and the establishment of a new Islamic civilization is on its way.” The approaching date of August 2011 also explains the title of the documentary. The leaders of Iran truly believe that the emergence of their Islamic messiah is only a few months from occurring. Many Georgians might be surprised to know that there is a Twelver Shia congregation in Atlanta. The Dar-e-Abbas Islamic Center in Lilburn describes itself as adhering to the “Ashari (Twelver) Shiah tradition of Islam” on its Facebook page. Several attempts were made to contact Dar-e-Abbas by email and telephone, but thus far no response has been received. 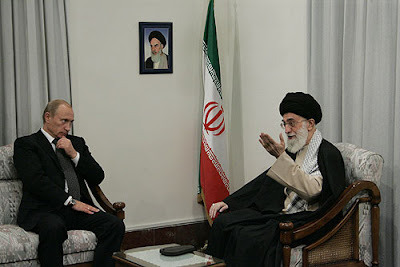 Many western observers, particularly those who are secular, may discount the effect of Twelver prophetic beliefs on the geopolitical actions of Iran’s leadership. However, Ahmadinejad and Khamenei have a long history of working to prepare the world for the Mahdi. Their goal of a Muslim Jerusalem and an Islamic caliphate extending around the world puts them on a collision course, not only with Israel, but with the United States and most of the rest of the world. If the Iranian regime obtains nuclear weapons, they may set in motion events that will spark a large-scale atomic holy war.